And then I sent out an “anybody wanna do a lunch” on twitter and got no reply. So, that helped bring me back down. Thank you Inman News (see article) for checking out my little ole company and really understanding what we do differently, or shall I say “innovatively.” I’d also like to thank my agent Lindsay for saying “why don’t you write all this stuff you tell us and share it with everybody”, blogger Ardell in Seattle for some early on motivation and inspiration, Ben Martin from VAR, and my georgeous wife for dealing with my 3am posts. Make sure you subscribe to upcoming posts. I have about 6 more posts that I wrote while on a 38 hour flight to Africa with my wife. 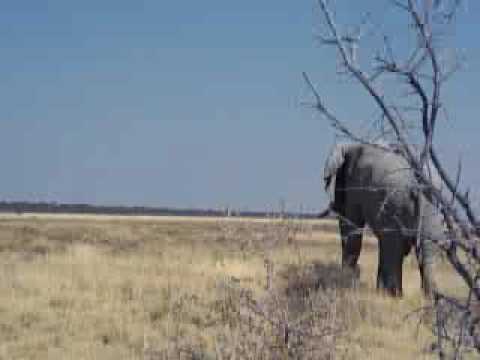 In the meantime here is a random Wheel Estate Cam on location in Africa with elephants. pss. Now it is even easier to subscribe to this blog. Just add a small comment below and check the box to get emailed future posts. Spam free. Well deserved Frank!! (and thanks for the kind words). I’m glad to see that your creativity, and tendency to “think outside the box” is being recognized. You tend to think even MORE outside the box than most, and I (for one) genuinely appreciate that about you. Congratulations, Frank. Now everyone knows what we already knew: you’re an trail-blazer. and now everyone knows I can’t spell. Congrats, Frank! I thought it was a little odd that you seemed kind of passive when you went up to accept the award, now I know – completely unexpected. Don’t know that we’ve seen a quiet Frank, before! Congrats Frank! Definitely earned. Love your stuff. I think your blog is important. 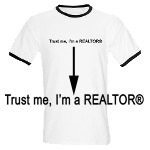 Perhaps much more than anything else in real estate online. I’ll keep watching/reading. Have tried to subscribe by email last year, but this is the first post I’ve received. Wonder what’s up? So, Congratulations and Thanks for the informative blog. Congrats on the well-deserved win. Again, thanks for all you do not just only for clients, but distant colleagues as well. Amazing! You rock! Thank you for sharing and caring. The world of Real Estate needed you Frank. We look to you for up to date and informative news. Kudos! Job well done. Thanks for making this stuff fun! Getting the Inman News award must have been really exciting but it has raised the bar a little higher for you. Of all people, you had nothing to say, amazing. Frank, I’m glad that you are a local guy and I have always appreciate your input when you have been in the room. If I had only listened to you 2+ years ago when you told me to start blogging… live and learn.